I love WMF Ikora metal ware and this is a very nice vase. 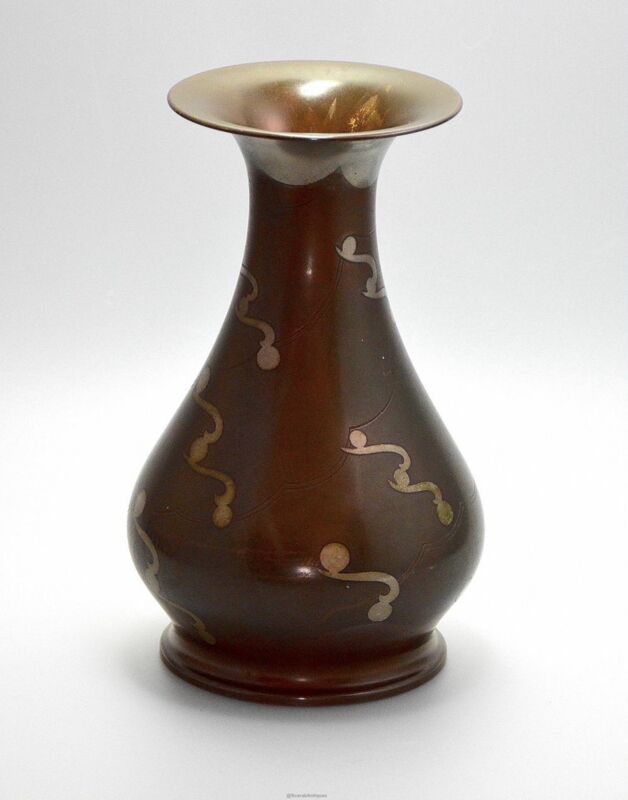 Made by the German company WMF (Wurttembergische Metallwarenfabrik) during the 1930s this vase is baluster shaped and decorated in tints of brown with white metal and incised decorations. The base is stamped with the windmill mark with "WMF" below. The name "Ikora" comes from a plant with brilliantly coloured flowers endemic to south-east Asia sacred to the goddess Ixora and was adopted by WMF to convey the costly and exclusive quality of this range.